After a great carpet cleaning the number one follow-up question is “How long before it’s dry?” I can only give an averaged estimate based on experience because the answer is highly subjective. The key to fast drying is a low relative humidity and adequate air flow. 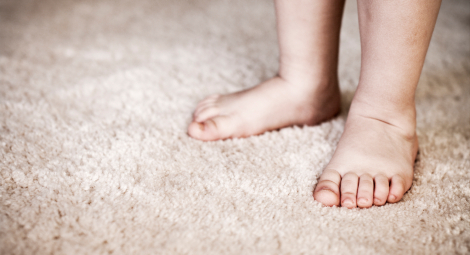 Carpets can only dry if the air doesn’t already contain a lot of water vapor (high humidity). In addition, the air that holds the moisture from the drying carpet also needs to be removed and replaced with newer air to continue to accept more moisture. The typical range for humidity usually hovers just below 50%. That is usually comfortable enough without feeling too humid or too dry. So, what’s the best method to aid in a fast drying process? Air conditioning and ceiling fans (…or box fan or standing fan). The A/C does it’s job on removing moisture from the air and the fans obviously help circulate the air over the drying surface. A window may also be opened to aid in the process assuming low humidity outside. This is all standard during the hot summer months, but what about the winter? These cooler months are generally dryer but running heat in the house actually tends to maintain humidity. But moisture is still removed since heated air can hold more moisture and is then usually replaced by cooler, dryer air that leaks through the house from the outside (air infiltration) or condenses out on colder surfaces in the house or is expelled from the heating process (and I’m sure there’s a few more processes at work here). It’s also usually a good idea to change the fan setting on your thermostat from “Auto” to “On”. This will make sure you get maximum rotation of the air. So how long does it take to dry? It’s fast …with the right conditions! Why do mainstream carpet cleaners charge extra for berber? …because they can (according to them). There are so many reasons why the cleaning industry has added difficulty with berber, but the CitruSolution process is not just any process. Let’s first look at the basics of berber to clarify. Basically, the looped design makes a good choice for carpeting due to it’s natural resistance to dirt. However, the material choice really determines the effectiveness of it’s hardiness. Wool is the best, but extremely expensive. It is stain resistant and crush-proof which makes it the choice of champions. Nylon is a quick second, but because it is man-made it unfortunately has an affinity for oils. The cheaper versions are olefin and polyester, which not only attract oils but are not crush-proof. 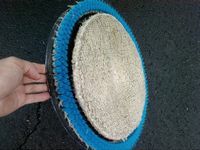 Typical cleaning issues with berber arise from saturation (as with other carpet types) and ineffectiveness with oils. Since the CitruSolution process is, by design, low moisture and contains a natural “degreaser” it works well with all types of berber. It also has a tendency to reverse oxidation, which normally brightens colors. Here’s the clincher… because we are not using anything than the normal process to clean berber, we don’t need to charge you for anything extra! A budget process AND a job well done. Let us know if we can help. Most companies employ steam cleaning equipment to clean carpets but are they disinfecting properly? To disinfect with that type of system you can use chemical additives or straight steam vapor. Obviously, steam vapor is more appealing since you negate the issue of using potentially harmful chemicals to get the job done. The key word here though is “Steam Vapor”. The water needs to not only be properly heated above the threshold temperature but also allow enough time to let the disinfection process begin. It is a hard combination even for professionals to get right. CitruSolution’s approach is much simpler. The key is using an extract taken from Thyme. 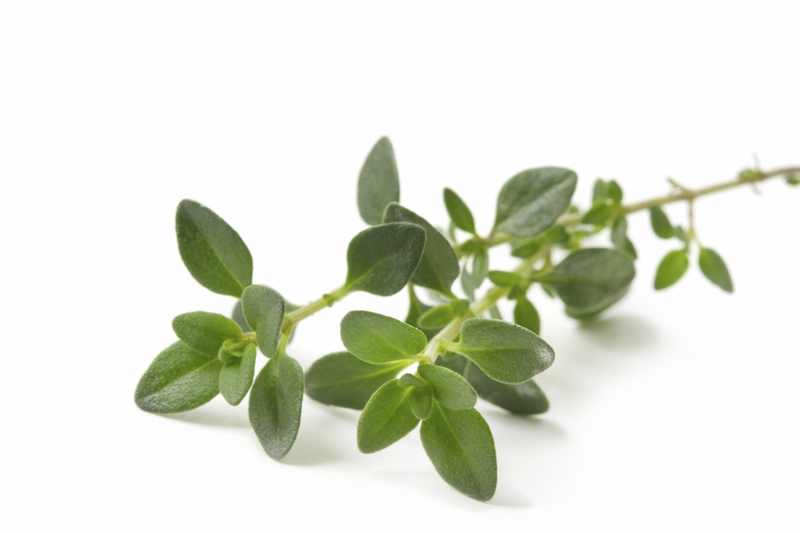 Thyme is a wonderful herb to cook with and use as a disinfectant. Who knew! Benefect® is a wonderful addition to our cleaning process. It is registered with the EPA (which gives it legal binding to be listed as a hospital-grade disinfectant) while listing no cautions for use… not even an MSDS. It’s simple, It’s effective, It’s from nature… sometimes we just don’t know how good our earth is to us! Does carpet cleaning of ANY kind get out ALL the dirt? NO! 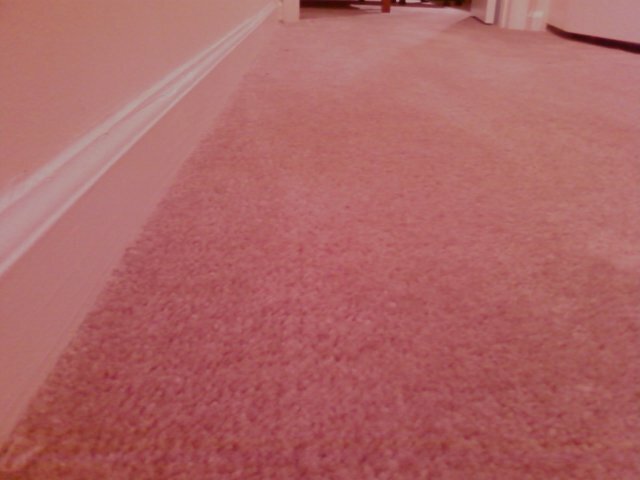 But CitruSolution cleans the carpet fibers without forcing the soil under the backing and into the padding. The solution stays within the nap of the carpet. It evaporates very quickly, leaving a healthy barrier between you and the dirt, allergens and bacteria. CitruSolution recommends getting your carpets cleaned every 6 months to a year, depending on traffic. 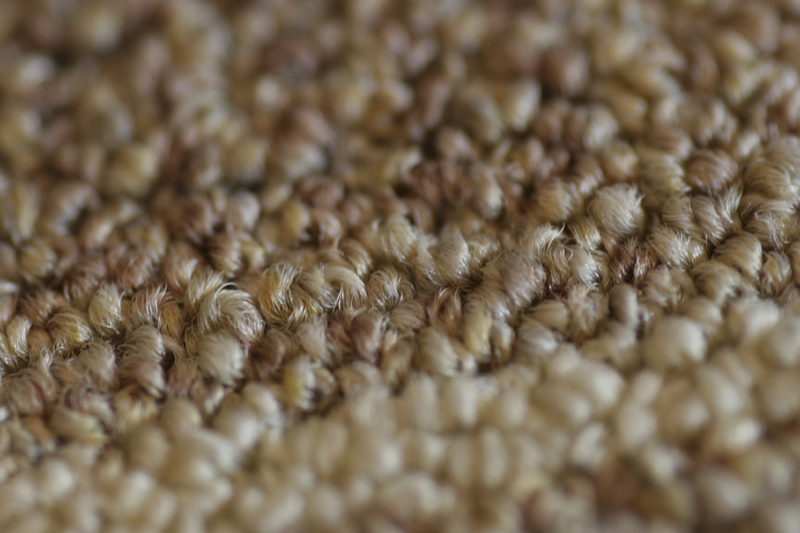 How Does Carpet Cleaning Help My Indoor Environment? EPA studies show that most Americans spend 90% of their time indoors and the level of pollutants may be 200% to 500% higher than outdoors, even in cities with a lot of air pollution. Trane, a leader in air handling systems, claims a 1,500 sq ft area will normally generate about 40 lbs of dust every year! An ounce of this dust can hold up to 40,000 dust mites. Everyday 72 trillion allergens can make their way into your home and every time someone walks across the carpet can release these pollutants which can stay airborne for hours. This is why we believe carpet cleaning is foremost a health issue and secondarily an appearance issue. Does Carpet Scrubbing Really Work? I do get asked from time to time about the carpet buffing process itself. Some think it does nothing more than grind dirt into the carpet. It is easy to show the client the amount of debris wicked up from this process after buffing an area. That’s why the vacuum is necessary afterwards, it’s the best way to remove this material from the area. 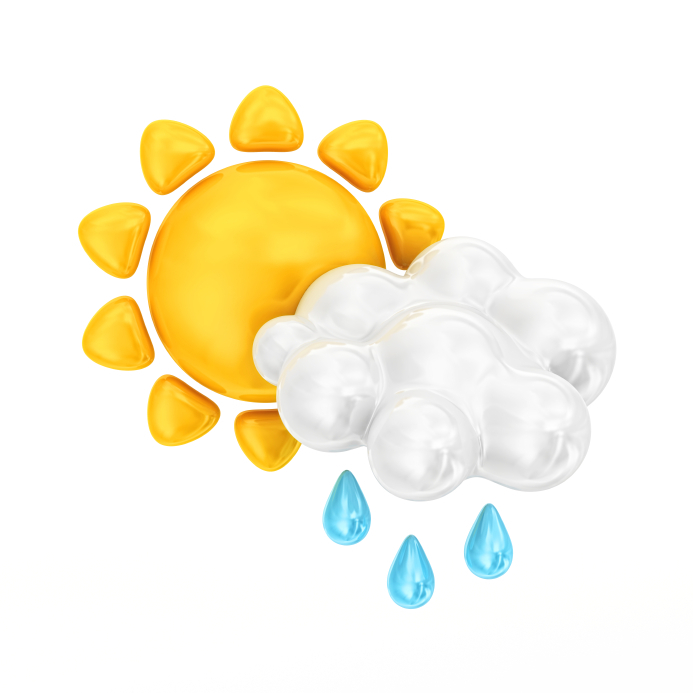 Does Rain Affect Cleaning Process? During a rainy period I was asked if it is worth it to come out and clean. I explained that rain really isn’t a problem because we don’t employ traditional methods. There is no truck-mounted system with hoses that need entry, furthermore the potential to drag debris from outside is minimized since hoses are not pulled through the house. CitruSolution employs a low moisture application that is typically dry in a couple of hours, which certainly helps when the house environment is fighting against high humidity. So next time it rains have no fear to clean your carpets, and after the cleaning please leave your galoshes at the door. "After Rob cleaned my carpets they looked like new again. He was able to get up stains that had been there for years." What Is The Sample Program About? What Makes CitruSolution Pricing So Good? How Do I Prep For A Cleaning? What Is The Dark Area In Carpet Next To The Wall? How Wet Does It Get? Is There Hope For Gum? What makes CitruSolution different from other processes?